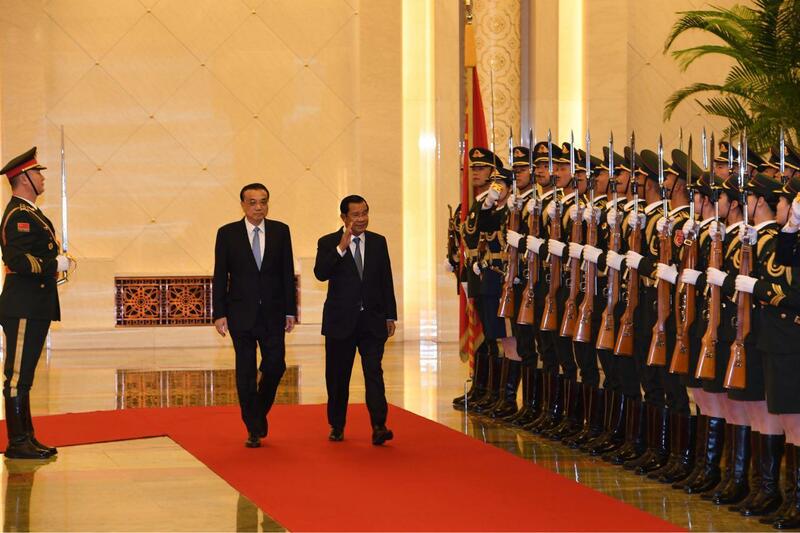 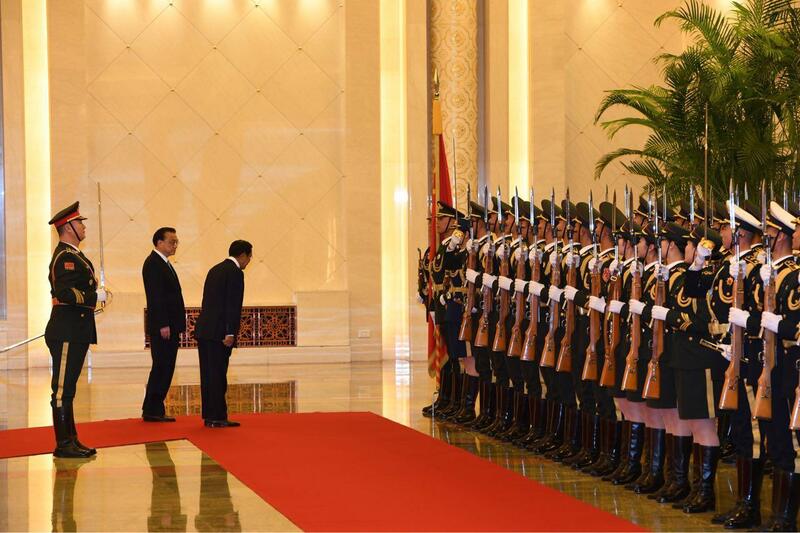 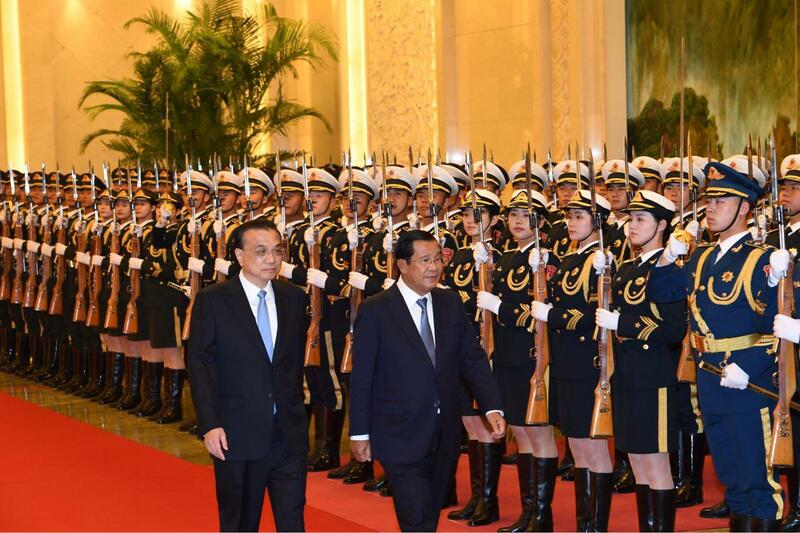 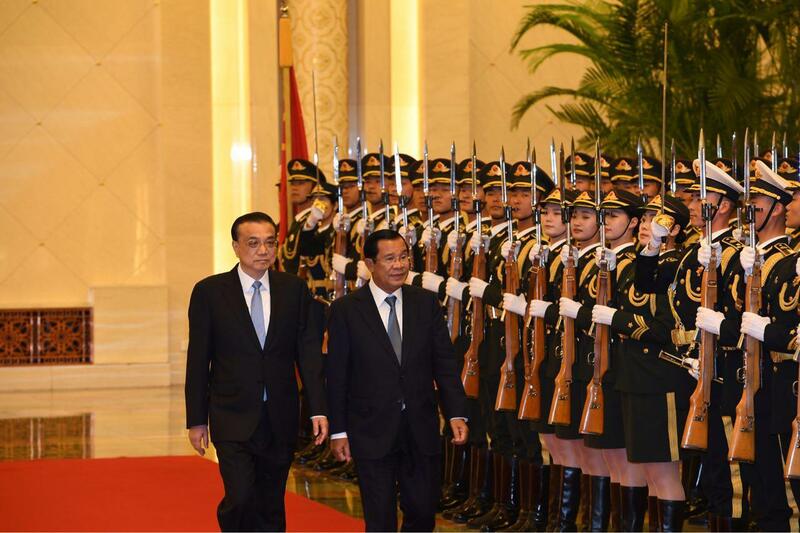 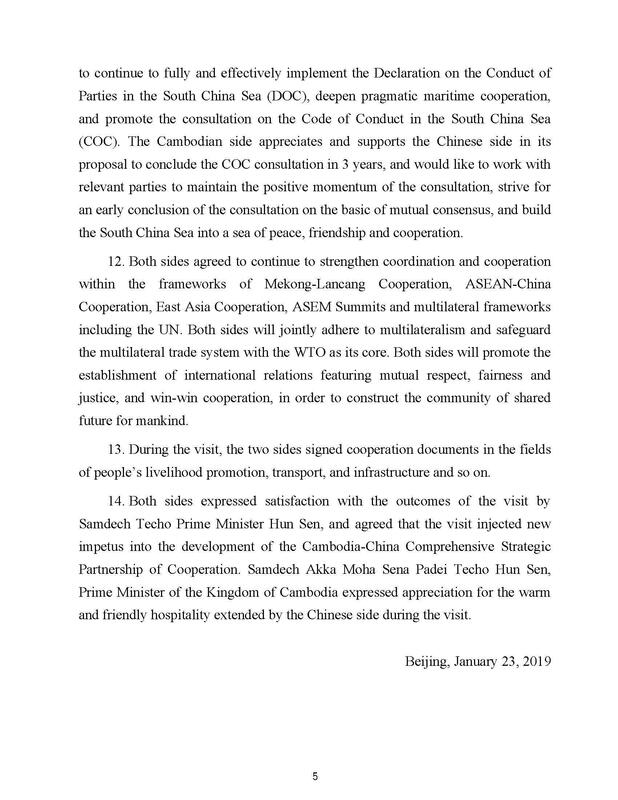 Phnom Penh (FN), Jan. 23 – Cambodia and China expressed satisfaction with the stable and continuous sound momentum of the situation in the South China Sea, both sides wrote in a Joint Communique following Prime Minister Hun Sen’s three-day Official Visit to China. 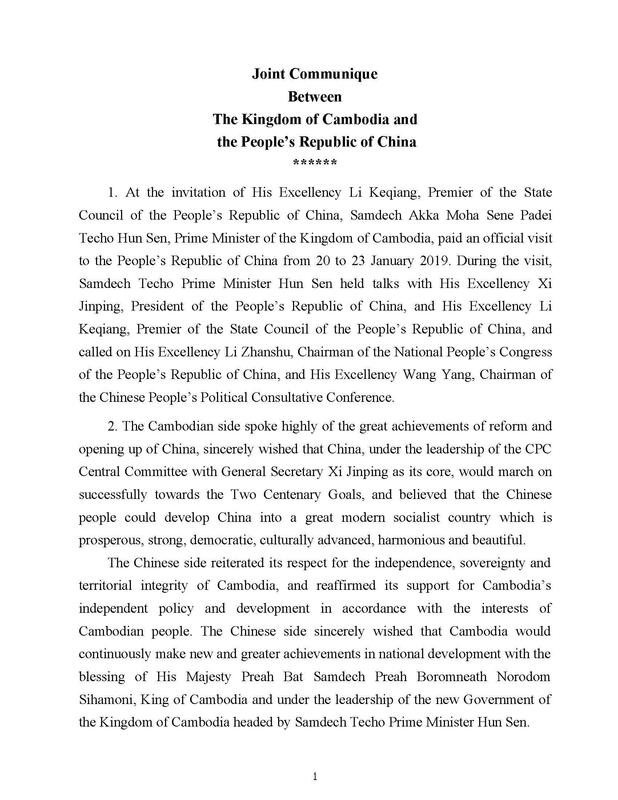 The Cambodian side appreciates and supports the Chinese side in its proposal to conclude the COC consultation in 3 years, and would like to work with relevant parties to maintain the positive momentum of the consultation, strive for an early conclusion of the consultation on the basic of mutual consensus, and build the South China Sea into a sea of peace, friendship and cooperation. 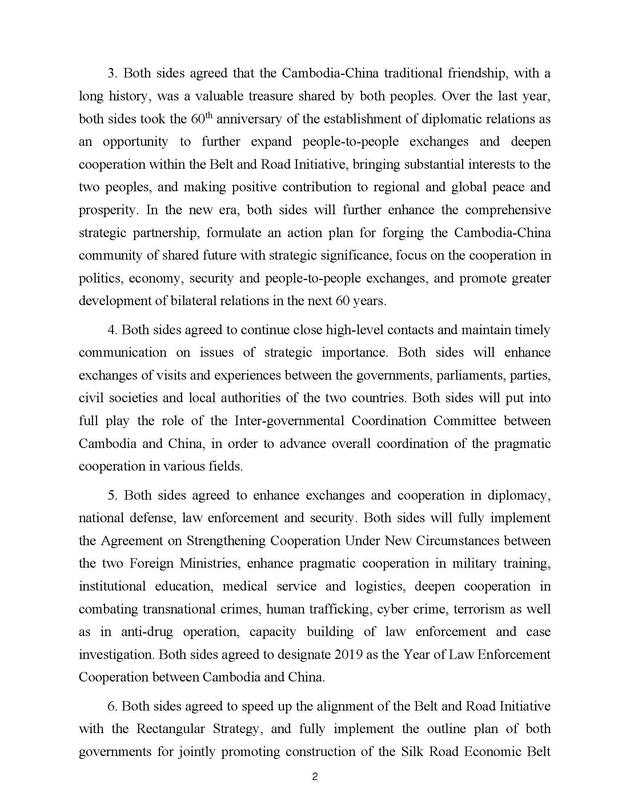 Both sides also agreed to continue to strengthen coordination and cooperation within the frameworks of Mekong-Lancang Cooperation, ASEAN-China Cooperation, East Asia Cooperation, ASEM Summits and multilateral frameworks including the UN. 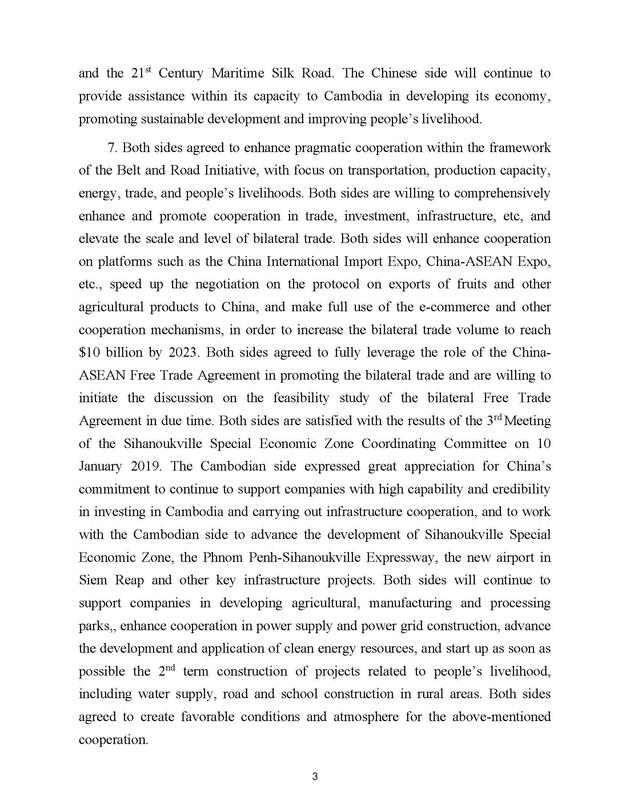 Cambodia and China will jointly adhere to multilateralism and safeguard the multilateral trade system with the WTO as its core; and promote the establishment of international relations featuring mutual respect, fairness and justice, and win-win cooperation, in order to construct the community of shared future for mankind. 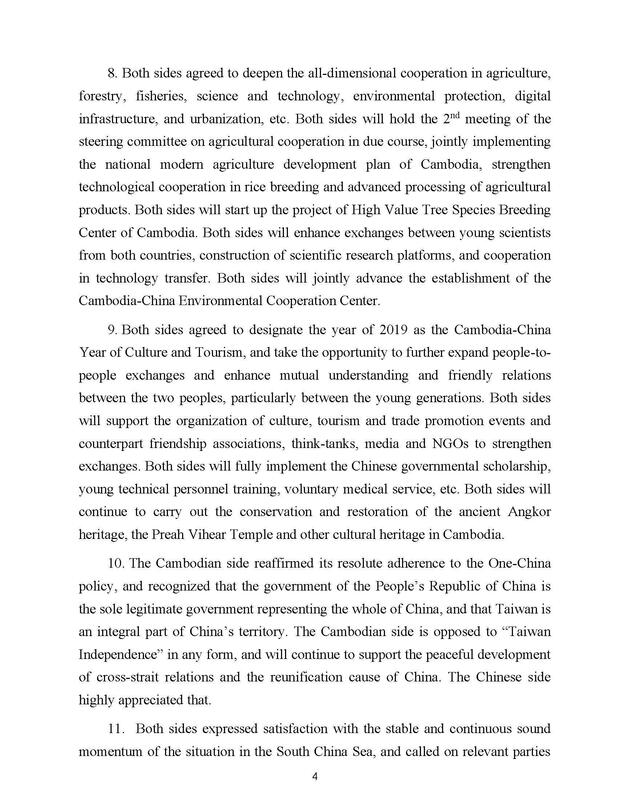 Both sides agreed that the visit injected new impetus into the development of the Cambodia-China Comprehensive Strategic Partnership of Cooperation.